Advent is a time of hopeful anticipation. Advent comes from the latin word adventus meaning arrival, invasion, or coming. It encompasses the wonderful, strange, beautiful idea that God came to earth, drawn by love, to redeem us. Since almost the very beginning, Christians have reserved the four weeks before Christmas as a season of advent, in which we prepare for God’s coming to earth in the incarnation, at Jesus’ birth. This practice has been around since at least the fifth century and likely long before. In advent, we celebrate Christ’s first coming, and pray for his second coming in which he will redeem the whole world. for the next four weeks, I’ll be exploring the themes of advent through pieces of beautiful art on my podcast. Whether are you an advent pro, have never celebrated advent, or perhaps don’t even believe, I would love to have you join me! Tune into this week’s episode to hear the history and purpose of advent! For best results, listen to the podcast (purple bar) above and follow along in the notes below! Since around the fifth century or before, Christians have marked the four weeks before Christmas as a special time of prayer, fasting, and contemplation, preparing their hearts for the coming of Christ at Christmas. This is a part of the larger church year, which you can hear more about in the podcast. One way of marking advent is the advent wreath. There is one candle for each Sunday in advent. We have the German Lutherans to thank for this tradition, along with many other Christmas traditions including the advent calendar, Christmas market, and Christmas tree. Consider making an advent wreath with your family so you can celebrate together! Advent wreaths are usually comprised of four or five candles. One for each of the weeks of advent respectively, and Christmas itself. A Lutheran pastor came up with the advent wreath to help the children of his congregation mark the days until Christmas. Though the Lutherans began this tradition, many denominations have followed suit, making it one of the most common ways to mark the season. Another lovely tradition, also started by the Deutschlander, is the Advent Calendar. These were calendars (or clocks!) where each day had a different image or quote or verse for each day of advent. They were usually delightful and Christmasy and cozy. It is no wonder they are one of the few Christian traditions that have made their way into the secular mainstream! This tradition is less explicitly Christian, but it still fosters that sense of delight, anticipation and wonder. As a little girl, my mom got me advent calendars with little milk chocolates in each window. What could make a child long for Christmas more?! We know it as O Come O Come Emannuel, but this ancient song has been sung in monasteries for 1,500 years. 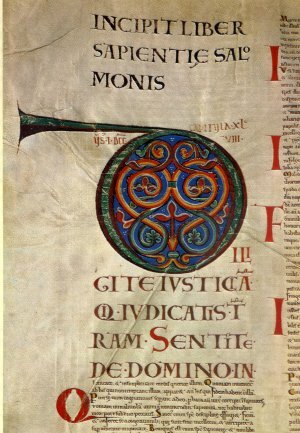 The O’ Antiphons date back to the early sixth century where they were sung in monastic communities before Christmas. The O’ Antiphons were so named because each one of them began with “O” followed by a name for Christ. There were seven O’ Antiphones, and one was meant to be sung each day the week before Christmas. By singing these verses, the monks (or nuns!) both celebrated the beauty of Christ’s coming in the Incarnation and anticipated Christ’s second coming when he would make all things right. This is what we celebrate in advent: both the wonder of Christ’s coming into the world through the incarnation, and the hope of Christ’s second coming where he will redeem all things. As we enter this advent season, spend a little time each day meditating on these three comings. When I was young, my family would read this aloud in the afternoons. It has reflections and thoughts from many of the great spiritual writers over the centuries. A lovely read. I’m actually reading this one for the first time this year. Malcolm is a priest, poet, and professor at Cambridge university. This book is a collection of poems for every day of Advent, and then on through to Epiphany along with a little reflection on each day. It won’t give you a lot of scripture (though it constantly references scripture), so I like to supplement with something else as well. But I’ve really enjoyed it so far. A very happy advent to you, friends! I hope to see you here next week.